Beautiful views from this waterfront condo on the deep water canal with river access. 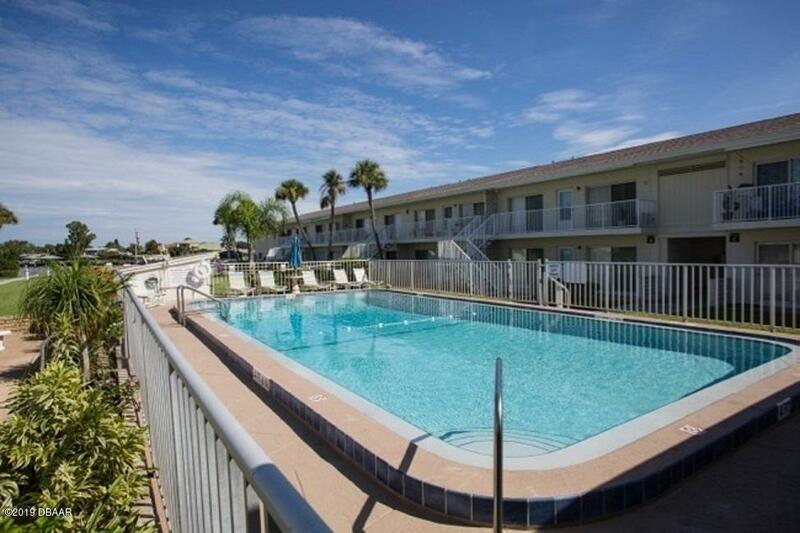 True New Smyrna Beach living located blocks from both Flagler Avenue and Canal Street, marinas, restaurants and shops. This complex has a pool, clubhouse, beautiful landscaping and has recently been repainted. A true gem. Based on information from the DABMLS from 2019-03-15 13:44:12. DABMLS and their affiliates provide the MLS and all content therein "AS IS" and without any warranty, express or implied. Data maintained by the DABMLS may not reflect all real estate activity in the market.